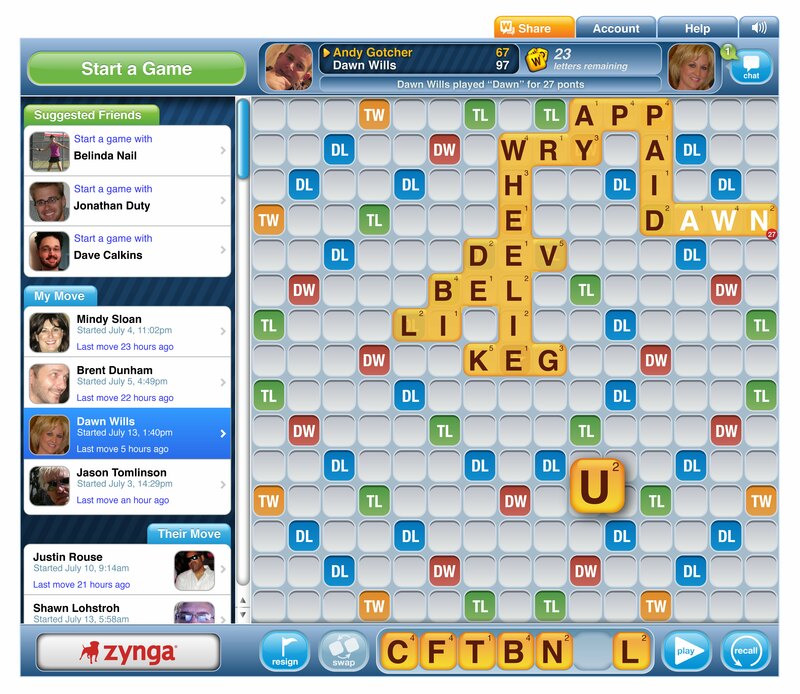 Zynga is bringing its popular Scrabble-esque mobile game Words With Friends to Facebook, the company announced Monday. This represents the first time that Zynga has extended a game that originated as a mobile app to Facebook. The company has not nailed down a specific launch date, but we understand Words With Friends should be live on Facebook sometime within the next week or two. Zynga acquired Words With Friends when it bought Texas-based mobile games developer Newtoy in December 2010. At that time, it seemed as if Zynga was keen to diversify beyond its established business of developing Facebook games. Words With Friends has been a major hit for Zynga as a standalone mobile app, but Monday’s news shows that Zynga is not looking to quit Facebook just yet. It makes sense that Zynga would want to get as much value as possible out of Words With Friends — it was revealed in the company’s S-1 initial public offering filing last month that it paid a cool $53.3 million to acquire Newtoy, $44.3 million of which was in cash. And while mobile apps are key to Zynga’s future, Facebook is still a major part of its current revenue strategy: Zynga noted in its S-1 that it has “derived substantially all of our revenue and acquired substantially all of our players through Facebook.” Diversification is important, but now that Zynga is looking to go public the more revenue-generating irons it has in the fire, the better. Overall, Words With Friends for Facebook looks pretty cool (a screenshot is embedded below.) Zynga says the Facebook version of the game will have all of the mobile app’s functionality with added social features such as the ability to “publicly call out your friend on their wall” after a particularly good move. Additionally, players on Android and iOS devices will be able to port their games seamlessly between their mobile devices and Facebook. Words With Friends seems nearly ubiquitous as it is, but the move to Facebook could bring the game to a whole new level of viral popularity.